Pvt. Hallie C. Godfrey, son of Charles Godfrey, attended Durham High School; husband of the former LaJune Snelling. 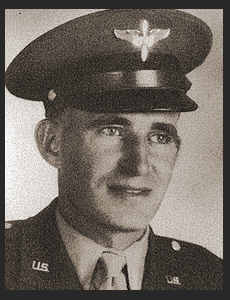 Entered Air Corps in Sept., 1943, trained in Sheppard Field in Amarillo, Texas; is now onduty in Marshall Field, Kan. Awarded Good Conduct Medal, Am. Defense Ribbon.